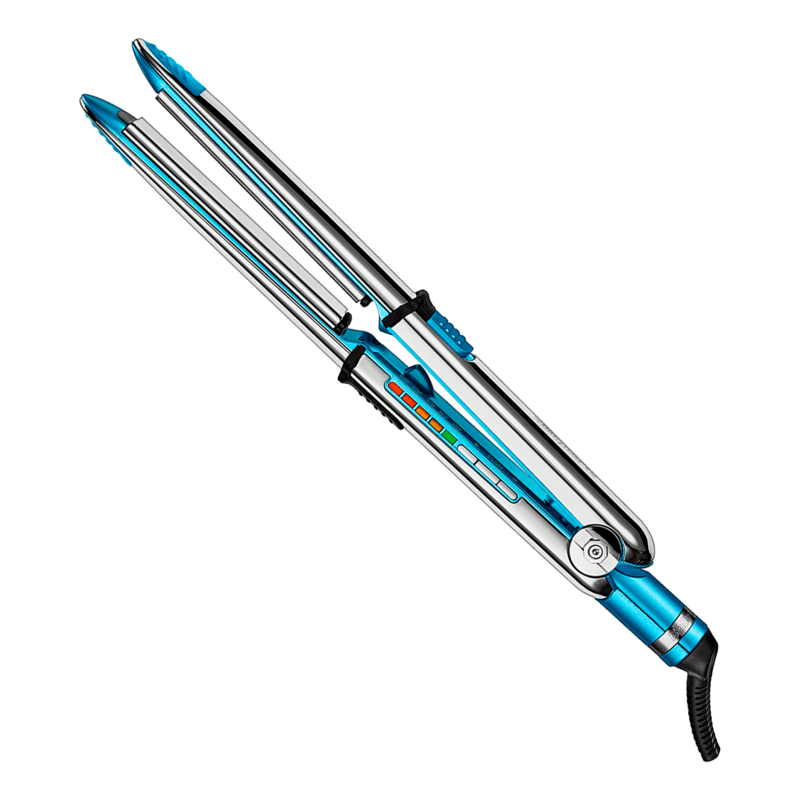 PRIMA3000™ takes the very idea of a straightening iron to unprecedented heights. Crafted from the most advanced materials. Designed with cutting-edge features that redefine ease of use and excellence of performance. Straighten or curl with smoother, shinier, more beautiful results. PRIMA3000™ is the ultimate achievement in styling tools. - Convex SUS304 stainless steel housing is lightweight, and corrosion and warp resistant. The purpose of stainless steel construction is to allow parallel and even distance between heating plates at all times. Heat will not warp stainless steel as it does most plastics. - Dual function – straightens and curls with maximum ease and effectiveness. - Aircraft-grade titanium plates deliver highly efficient heat transfer and instantly smooth, condition and shine. - HiDensity Dual-Ceramic Heating System delivers more power for up to 20% faster heat-up* and exceptional heat transfer – up to 465°F. - FullWave Thermal Science provides instant heat recovery and constant temperature. - IonMultiplier Technology – 2x greater ion concentration* for smoother, shinier, more beautiful results. - Ryton® and silicone are highly heat resistant and are used in key heat-sensitive areas. "My favorite new tool. I can curl so quickly. Great and multifunctional."